India’s macro indicators such as trade deficit and inflation in February were indicative of a stable macro environment. The trade deficit narrowed due to growth in exports and lower imports of oil, gold and electronics. The lower imports, however, could imply a weakening economy as seen by low growth in industrial production in January. Inflation was higher in February than in January but continues to stay well below than the Reserve Bank of India’s (RBI) medium term inflation target of 4 percent. It is likely that the RBI, at its next meeting in April, the first in the new 2019-20 fiscal year, could lower the benchmark repo rate by another 25 basis points to support growth while maintaining a neutral monetary policy stance. Indian financial markets, once the affects of foreign portfolio investment (FPI) inflows wane, could be range-bound and perhaps even flat given slowing growth. The fact that the major central banks of the world are now all supporting growth in 2019, the financial markets will look to corporate performance in the last quarter of fiscal 2018-19 when earnings reports begin to be released in April. The services sector in India is performing strongly while growth is dampening in manufacturing and agriculture. The global economic environment has resulted in lower growth forecasts of the Indian economy in 2019 and 2020 because of slowing international trade. However, globally, on a relative basis, India continues to be the fastest growing major economy despite signs of slowing growth among the large economies including the United States in 2019. Efforts to support growth both by the Reserve Bank of India (RBI) and the incumbent government before the general elections in May 2019 are attracting FPI inflows leading to large buys across industry sectors, pushing up the equity market indices. Within the context of Brexit, European growth and monetary policy, and US-China trade talks, US economic growth expectations in the 1st quarter of 2019 are significantly lower compared to the 4th quarter of 2018. This could be more because of the longest government shutdown in US history and the bottoming of unemployment and affects on growth of Trump tax cuts. After all, US may not be immune to growth slowdown which is being experienced around the world. The US Federal Reserve is taking a second look at its monetary policy stance under these conditions by signaling a slow down or even stopping monetary tightening. Indian financial markets, once the affects of FPI inflows wane, could be range-bound and perhaps even flat. Indian growth rate in the 3rd quarter of 2018-19 compared to a year ago has come in at 6.6 percent, below median economist expectations. This slower growth has been attributed to liquidity issues and lackluster growth in the agriculture sector despite pre-election government spending. The financial markets, however, could be fickle affected by geopolitical tensions between India and Pakistan until elections in India even though they reacted positively to the temporary easing of the situation this week. Further, the markets are yet to build-in the slower GDP growth rate which is expected to slow further in 2019 reacting to the slowing trade as the rest of the global economy slows: global slowdown could hurt India’s manufacturing sector – hitting auto, engineering, textile and some other labour intensive sectors and also the export-intensive IT and pharma sectors, lowering exports. Oil price fall this week has benefited the rupee. With inflation low, the Reserve Bank of India (RBI) is on the right track on monetary policy. Should growth continue to be weak, it is likely RBI could further lower interest rates to support growth. Brexit, European growth and monetary policy, US-China trade talks and China’s National People’s Congress (NPC) and US economic growth expectations in the 1st quarter of 2019 will affect global sentiment in March 2019. Indian financial markets could be range-bound and perhaps even flat as the markets absorb the 3rd quarter GDP data and global sentiment. This week’s economic roundup is essentially unchanged from our February 08, 2019 edition. A notable piece of data is that consumer price index (CPI) inflation is 2.05 percent in January 2019. It continues to stay close to the lower end of the Reserve Bank of India’s (RBI’s) inflation targeting range of 2 – 6 percent justifying RBI’s monetary policy stance to favor growth. Moreover, there continues to be macroeconomic stability on the front of India’s budget and trade deficits though the government must be wary of fiscal slippage (indicating higher fiscal deficit – the government’s fiscal deficit target for both 2018-19 and 2019-20 has increased 0.1 percent to 3.4 percent from 3.3 percent) and slowing global growth (indicative of possible reduction in India’s exports) even as India’s growth continues to remain on target looking into 2020. The financial markets will continue to be range-bound. The RBI left interest rates unchanged given the slowdown of the Indian economy in the July-September quarter and lower than target inflation while maintaining its stance of ‘calibrated tightening’. This decision by the RBI was widely expected though the markets also expected a change in the RBI’s stance to ‘neutral’. The reaction of the Indian equity markets was bearish because of the RBI signal that it is not bullish on the economy. Some deterioration in the macro situation was also reported by the government with the Indian fiscal deficit exceeding the fiscal year target with the year still one quarter away from being completed. It must be noted here that the trade deficit is also increasing and is highly sensitive to the oil price. The twin fiscal and trade deficits do not bode well for the strength of the rupee. If inflation holds at or below target, we expect the RBI to return to ‘neutral’ stance with a bias of lowering interest rates next year depending on economic growth to boost the economy though we also expect the RBI not to act on lowering interest rates because of inflation concerns until Indian gross domestic product (GDP) growth rate falls to about 6.5% in 2019. Therefore, given the forecast of 7.2% for GDP growth rate in 2019, we expect, on balance, the RBI to maintain status quo on interest rates through the end of the fiscal year 2018-2019. Indian equity market reaction to US-China trade uncertainty was mixed despite a sharp fall in US markets. It is still unclear how the US-China trade dispute would be resolved while noting that India, in fact, stands to benefit from both US and China should their trade dispute continue. OPEC and Russia agreed on Friday to together cut oil production by 1.2 million barrels-per-day for the next 6 months to prop up the oil price. It is unclear to what extent they would succeed in doing so given rising US production which will only stand to benefit from propped up oil prices. This, however, is not good news for India because higher oil prices will only cause the trade deficit to rise and pressure the rupee. Concerns about global growth have caused all the major advanced and emerging equity markets to fall. The International Monetary Fund (IMF) has clarified that it only expects global growth to slowdown without the risk of a recession. Indian financial markets will continue to takes cues from global markets on global growth though they could breathe a sigh of relief because of expected slower pace of Fed rate increases because of probable slowing of US growth at around the Fed’s inflation target and the RBI status quo but with concern about Indian economic growth outlook also at around the RBI’s inflation target. 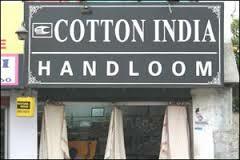 Cotton has a long history in India. It is the crop which galvanized the independence movement against the British. The movement led by Gandhi to produce domestic cloth woven from domestic cotton and the boycott of cloth imports from Great Britain had undercut the colonial British economy. Economic self-reliance or a form of near-autarky was what was advocated by Gandhi to undermine the British empire which imported cheap natural resources from its colonies and sold finished and semi-finished goods made in the industrial mills in Britain in the territories it occupied. Many argue that this is also the neo-colonial strategy that China is currently pursuing in its trade relations with other countries. India is usually an exporter of cotton. Lately it has begun importing it, contributing to the country’s trade deficit. Two reasons standout for India’s cotton imports. One, limited domestic supply because of droughts or crop disease and two, a strong rupee which sometimes makes it cheaper to buy cotton in the world market than produce it domestically. While the first reason may, on occasion, make imports necessary and sensible, the second reason is purely the current global paradigm of trade at work: in a regime of free trade, under Ricardian comparative advantage, if it is cheaper to produce a good or a service in another country then countries which incur higher costs of producing the same goods or services domestically will import. The importing countries’ economic structure and labor market will shift away from producing the imported goods and services domestically and focus on others where they have comparative advantage in the ideal world that trades in goods and services freely across borders without any protections for domestic products. The Ricardian comparative advantage may be attractive at an initial glance because it envisions a world of freely trading countries engaging in only that economic activity in which they are more economically efficient. However, the reality is such a division of labor across countries in the production of goods and services may be unsustainable because the world demand for various goods and services will always be higher than the possible world supply due to fewer producers and a disproportionately large number of consumers. Prices could be higher than in autarky over the long run and oligopolies of suppliers of goods and services will be created around the world. Moreover, if, for example, selling natural resources cheaply is the comparative advantage of some countries, no domestic industry will be developed in such countries because they would import goods and services with the revenues earned from their natural resource exports. This lack of development of domestic industry has negative feedback effects on the amount of revenues extraction of natural resources can generate for these countries because the technology to extract natural resources does not belong to them but to other countries which specialize in those technologies. Therefore, despite being rich in natural resources, many countries remain poor due to lack of technical know how to exploit their own resources to their maximum benefit and they also enter into lopsided bad deals in their eagerness to earn income. What we see in reality is some balance between economic specialization in world trade and competitive domestic production of the same or similar goods and services in various countries. What needs to be done in this age of the multinational corporation (MNC) in a largely sovereign and democratic world – which is very different from the age of the colonial multinationals such as the East India Company when the colonial master profited from the assets of the colonies without colonial development – is to institute a global trade regime of quasi-autarky as Gandhi had envisioned. Only natural resources and food that countries are deficient in and management and technical know how cross borders, and most needs of goods and services of countries are met through production within their borders by both the MNCs and domestic companies either in collaboration or in competition with each other. India, given that it has proven to be self-sufficient in agriculture, must ensure its agriculture sector does not trigger the need for imports as with cotton as an example. This, however, does not mean that India should shoot for a cheaper rupee to make Indian cotton less expensive. It means that whatever the global price of cotton, India should specialize in cotton and cotton-related goods and services while committing to at least self-sufficient domestic cotton production through perhaps better agricultural techniques or better seeds that are drought and disease resistant. India should commit to innovation in agriculture, develop its own agricultural MNCs while welcoming foreign MNCs into its domestic market. This applies not only to agriculture but to all sectors of the Indian economy. Quasi-autarky is a feasible option for India and in fact, as Gandhi envisaged, for the rest of the world as well. 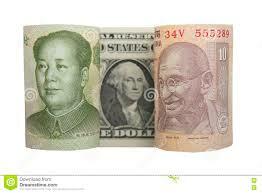 The Indian Rupee and India’s Economic Development: Should India Emulate China? Once again there is talk about the strength of the Indian rupee potentially hurting Indian exports because it has appreciated in the past few weeks relative to the U.S. dollar. “Should the Reserve Bank of India (RBI) intervene and if so when to halt the rise of the rupee?” has become the staple of the discussion. The world is chained to the U.S. dollar. It is in this currency that most payments in international trade are made, severely handicapping countries from importing if they do not have adequate reserve of dollars. Conversely, to earn dollars, countries have to export their goods and services which have to be price competitive in global trade to be saleable. And this means their currencies have to cheaper relative to other currencies to spur their exports. In all of this, there is no effort made to trade in native currencies but only the anxiety to export to acquire dollar reserves. The idea is that goods and services exported by a country to other countries will cause economic development at home. Domestic investment and consumption usually do not factor in this calculus and economies are oriented entirely toward exports. China has developed by becoming the factory to the world, thus far typically assembling imported parts of goods to export finished goods back to foreign markets. But China has also done something different. It invested in domestic capital accumulation and consumption using its export revenues in dollars to be able to eventually wean itself of export dependency while also attempting to climb up the export value chain by increasing its manufacturing sophistication to make high-end manufactured goods entirely within China and by diversifying into services. In this process, the Chinese currency, the renminbi (yuan), is gradually joining other currencies that are used in international trade and is now officially a global reserve currency. The attractiveness of China’s economic development to countries importing from China is its vast market of about 1.3 billion people if foreign companies are allowed to compete on an even keel with domestic companies. The country has used this well to its advantage to turn itself into a global economic power but by principally subsidizing the Chinese industry giving it a leg up over foreign competitors. The next step of the Chinese juggernaut is global expansion to create and develop markets for its exports and technology acquisition to achieve advanced market economy status. None of the other developing countries are doing what China has done and by doing so the country has catapulted itself to become the world’s largest economy in purchasing power parity (PPP) terms and the second largest in nominal terms. China’s role in the current paradigm of globalization is to become a net exporter like Germany and Japan, curtailing as many imports as it can. The key issue for economic development here, however, is the existing international currency and trading system which requires, for economic development, foreign currency reserves of stable currencies in which international trade is done. Little or no thought has been given to changing the system to develop capacity within countries to use their own currencies for domestic investment, consumption, and trade. China has succeeded by taking advantage of the status quo to its benefit but this is not a model that is sustainable because the advanced countries cannot continue to be net importers of goods and services from developing countries providing reserve currency hoards in the process to developing countries. Therefore, India emulating China is not a sustainable option either for itself or for its trading partners despite India being the leading exporter of information technology (IT) services to the United States and Europe. India should insist on making payments in the Indian rupee for its imports while working to produce most of what it needs domestically to minimize imports and must accept trading partner currencies as payments for its exports, displacing the intermediation of the U.S dollar in global trade, thus heralding a new paradigm in global trade and economic development. There have been two trends since toward the end of 2016. The election of Donald Trump as president of the United States in large part due to his promises to boost economic growth and bring jobs back to the country and the turning of the corner by the Chinese economy returning it to consuming once again the world’s natural resources for its infrastructure and manufacturing sectors. Both of these trends have lifted the global economy out of deflationary pressures by reflating while investors in the financial markets are carefully watching their sustainability. Trump’s election brought into focus the U.S. personal and corporate tax regimes, burdensome business regulations, deteriorating infrastructure and America’s trade policies that have proven to be detrimental to its economy. Promised reforms to all these determinants of the health of the U.S. economy greatly encouraged the equity markets on Wall Street which are eager for the expected reforms to become law. The president’s ongoing difficulty with members of his own political party in negotiating health care reform to end Obamacare is raising doubts about his ability to pass major economic reforms into law. If he cannot deliver, the markets could be deeply disappointed which could lead to a 10% drop or a correction in the major equity indices. China intends to primarily import natural resources and food it is deficient in, make in China using Chinese producers for the Chinese market and for export. It is not a country that is open to foreign firms who wish to make in China for Chinese consumption even as it is beginning to expand the global footprint of its own corporations to produce for the consumption of others within their countries. When faced for some time – nearly four decades – with such globalization that takes advantage of the current global free trade regime not only by China, but by other aggressive exporters such as Germany and Japan, the United States cannot stand still without adjusting its global trade posture of playing the unsustainable consumer of global exports which is costing America jobs. This makes the sustainability of the Trump Trade all the more critical – an imperative. The president must succeed in passing economic reforms in America. Any future success of the expected reforms in the United States will have a significant impact on the world. Lowering personal income taxes for the middle class while expanding the tax base with taxes on consumption (as India is doing) would economically strengthen the society. Cutting corporate taxes and facilitating repatriation of foreign profits of American firms at a low tax rate will increase business investment in the U.S. Streamlining regulations and making regulations smart will reduce the cost of compliance of firms, create a business-friendly environment and increase the ease of doing business while reducing the chances of events such as financial crises. Investing in infrastructure reduces business inefficiencies. Most importantly, a local, global and sustainable model of international trade which encourages local production by multinational corporations and local companies for sustainable local consumption while importing only natural resources and food items a country is deficient in will lead to global economic development by creating and developing local markets and political and economic institutions. All these reforms will be emulated by other countries once they become operational in the United States, pushing less open countries such as China and Japan to become reciprocally more open. The American president may be lending his name to real estate projects around world but he may not have anticipated branding the global economy. The Trump Trade signals a paradigm shift in the structure of the world economy. It not happening will be a costly disappointment. America’s new president Donald Trump, in his inaugural address, has called for “buy American and hire American.” He has put on notice manufacturing companies such as the big three automakers in Detroit, German car maker BMW, Japanese companies such as Toyota, and others such as Carrier – the maker of air-conditioners – to produce in the United States (US) for the American market by hiring American labor. If they do not comply, he has proposed a border tax on all semi-finished and finished manufactured goods imported into the US by American and foreign manufacturers to make them as expensive as they would be if they are entirely produced within US borders employing American labor. Foreign production chains have become common in the manufacturing sector not only for cars and other equipment but also for computer hardware. Apple, for example, produces its flagship iPhone in China and Taiwan. China has also become a favorite destination for chip manufacturers with even Intel Corporation making some of its chip line there, moving jobs outside the United States. Trump has not, however, yet targeted outsourcing in the services sector, primarily the large information technology (IT) industry for similar treatment as manufacturing. Instead, the US Congress has taken up legislation to overhaul the visa program for importing highly skilled workers majority of whom work in the IT services industry. The proposed legislation is bi-partisan in nature, having sponsors in both the major political parties – Democrat and Republican. The bill, if passed into law, will primarily affect the ability of Indian software companies – which derive more than half their annual revenue of USD 150 billion from North America – to staff their US operations with less expensive Indian software professionals on H1B visas because the proposed law will hike the minimum wage an H1B professional is to be paid to USD 130,000 per year from USD 60,000. Upon news of the legislation which is yet to become law, the share prices of the major Indian software companies which have significant exposure to the bill fell by nearly 4%. Indian software companies which export software to the US, ironically, may not have much to worry about. The effect of the proposed law could be that, in order to keep the costs of developing software down, US companies could outsource more work to India because much of the technical work of creating software can be done remotely, at a fraction of the cost which could be incurred in the US, without the need to shift personnel from India to the US paying the new and substantially higher H1B wages. Local US staffers of the Indian companies could then be US permanent residents or citizens in sales, marketing and project management functions. The bigger worry for the Indian IT industry should instead be its dependence on software exports to the US and Europe especially given the rising sentiment in both places to create local jobs by making, buying, and hiring locally. It is very possible that software imports to the US, similar to manufactured goods, could also be charged a border tax to promote making, buying, and hiring American. According to NASSCOM, the association of companies in the Indian IT sector, the Indian domestic market for IT services is only about USD 35 billion a year. For a large country such as India this is a minuscule market that needs desperately to be developed and, hopefully, the Digital India initiative of the Indian government will do that. As the General Electric (GE) Chief Executive Officer (CEO), Jeffrey Immelt, recently said, the changing nature of globalization does not require ambitious multilateral trade deals setting up large free trade areas to be global but country-by-country arrangements. Indian software firms should have local US offices, produce software locally by hiring American labor for the American market, competing with domestic US IT corporations rather than employing Indians remotely at low cost in India. Likewise, US corporations should set themselves up in India to develop the Indian software market, competing domestically with Indian IT firms. This could be a win-win for both US and Indian IT corporations and for US and Indian workers. Going local and global will be the key to the future success of the Indian IT industry. The IT companies must expand around the world to cater to local clients using local labor while moving up the technology value chain. 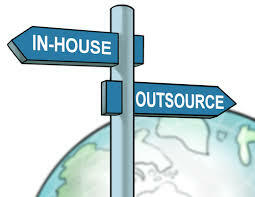 The era of outsourcing work to India has come to an end. Quantum superposition does not apply to microscopic particles alone. It applies to human socio-political-economic reality as well. The election of Modi in India in 2014, Brexit in the United Kingdom (UK) in 2016, and the coming to the presidency of Donald Trump in the United States (US) also in 2016 has revealed what would happen to how countries engage with each other when the existing paradigm of international engagement fashioned by the elites is closely experienced and observed by the electorate. The multitude of possibilities in history which can simultaneously exist until – in the realm of human affairs – observation, experience and understanding of a circumstance by the people can collapse all such possibilities into a specific outcome is reminiscent of physicist Erwin Schrodinger’s thought experiment about a cat that is simultaneously both dead and alive. What was contemplated about the condition of Schrodinger’s cat is also applicable to globalization. If the rise and the formation of nation-states began with the Renaissance and culminated in the post-colonial world order in the 20th century of democratic republics, the economic globalization since then has established firmly the regime of nations trading with each other based on their comparative advantage: even though a nation is entirely capable of producing a good or service on its own, the narrative of Ricardian comparative advantage put into place a global trading system where the nation would still import the same goods or services from another nation which can produce them more efficiently – displacing the importing nation’s domestic industry. For nearly two centuries this worked well for all the countries which were first movers during the Industrial Revolution that swept through Britain, Europe and America in the 18th and 19th centuries. As living standards improved and wages rose in the West, comparative advantage had shifted to the newly developing post-colonial countries after the end of the Cold War which promised cheap labor and less legal hurdles governing labor, environment, and production. Goods and services began being imported by developed countries in the West from these newly developing countries, particularly China and India, displacing local employment in the developed countries. The comparative advantage of technological innovation in the West has also been gradually eroded as technologies invented in the West began to diffuse at an ever faster rate around the world seeking access to markets more than benefiting from the intellectual property. The West has become the consumer of production in the rest of the world while the newly developing countries have been slow to consume what they produced thereby not creating their domestic markets as quickly as the West had hoped for. The Western consumer, therefore, is sharing the brunt of the burden of consumption to not only increase the gross domestic product (GDP) of the West but also the GDPs of the developing countries. This is the economic paradigm we have been living in since the beginning of the implementation of the neo-liberal thought in the late 1970s and 1980s in America and Britain. Just as old global systems die a slow death as new systems replace them upon popular demand – the old and new systems being both dead (or non-existent) and alive simultaneously – presenting alternative historical possibilities at the same time, so it is with the state of the existing paradigm of globalization which has become obsolete and is dying, being replaced by a new system that is focused on the development of the domestic markets in the various nations of the world. The developing countries want to live like the people in the West and the people in the West, in their desire not to lose their way of life as the developing countries catch up, want their industries and jobs back. The issue here is not globalization but its “how.” We need better globalization. In contrast to the current mode of globalization, companies should globalize by setting up in other countries and serve the local markets by hiring locally and producing locally to create local jobs and markets. This will lead to economic development. The trade model of exporting from one country to another – even though the importing country is perfectly capable of producing the good or service by itself – based on comparative advantage is obsolete. Prices, in this new mode of globalization, in the short to medium run may vary from country to country for the same product or service, but in the long run there will be convergence. 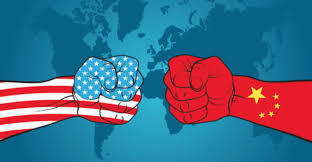 America which had set up the current mode of globalization is now, under Trump, working to change the “how.” China is a mercantilist and a neo-colonial globalizer. The emerging new paradigm continues to belong to the global corporations which have their origins in colonial companies such as the British East India Company, but this time global corporations are also emerging from the developing countries wanting reciprocal access to developed country markets. The post-modern multinationals are restructuring globalization to produce locally and, most importantly, sustainably around the world. They intend to make globally, in most of the countries around the world, including their own, for the people of those countries, creating local jobs and cultivating local markets for global living standards to converge. Global development is the next frontier and global corporations are embarking upon it to do it locally, globally and sustainably because the organization of business, global homogenization of laws governing businesses, and technology can make production in any country as efficient as in any other country around the world, minimizing the arbitrage of comparative advantage. The cat of globalization is both dead and alive.